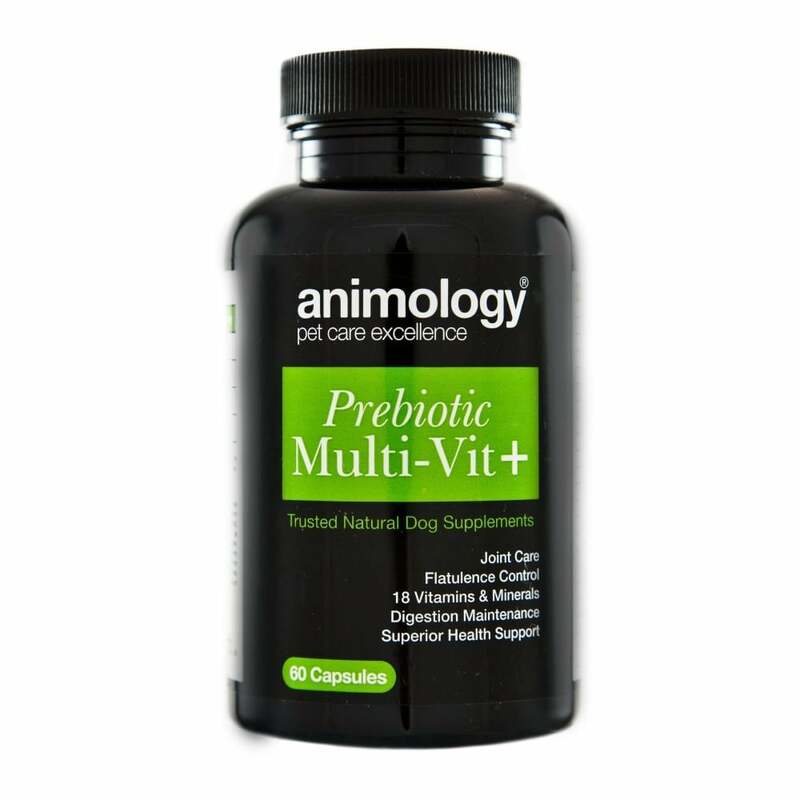 Animology Prebiotic Multi-Vit+ Capsules contain 18 vitamins and minerals to support your dog's overall health, as well as targeted support for joint care and digestive health. These capsules contain vitamins C & E, choline, inulin and MSM and are suitable for dogs from two months old. Each supplement comes in an easy-to-use capsule that can be given to you dog whole, or pulled apart, emptied and mixed into your dog’s food or water.